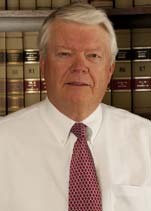 Clarence Farmer has been a shareholder at FFHPC and its predecessor since 1982. Before forming his own practice, he worked for a national accounting firm for five years. A University of North Texas graduate, Clarence earned a Bachelor of Business Administration in Accounting - emphasis in Taxation. Clarence's service areas include tax planning and partnership, taxation and corporate taxation. Clarence's industry experience includes real estate, construction, small business, manufacturing and recreation, among others. Clarence is also a member of the AICPA and the TSCPA.